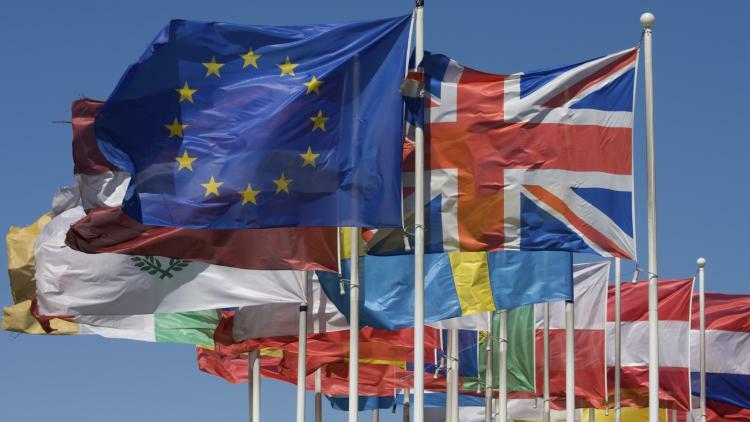 The overall purpose of this citizenship lesson is to enable students to reflect on the range of issues, questions and concerns they may have relating to the aftermath of the EU referendum. Pupils are encouraged to reflect on how they feel about the decision, to think about what they know about the issues, and what remains unknown or uncertain. They also spend time identifying questions they have about what happens when the UK leaves the EU. Pupils then take part in a values continuum activity to discuss a range of issues and viewpoints about the potential consequences of the referendum decision for all those living and working in the UK. The activities make use of sections of video from the TES/Speakers for Schools student debate ‘The EU Referendum – what now?' available here. The video timings in minutes and seconds for each topic discussed in the debate are given in brackets below. The activities might work best in the context of a sequence of lessons and could be further developed to focus more deeply on the issues explored. the ways in which citizens work together to improve their communities. What will students know and be able to do? 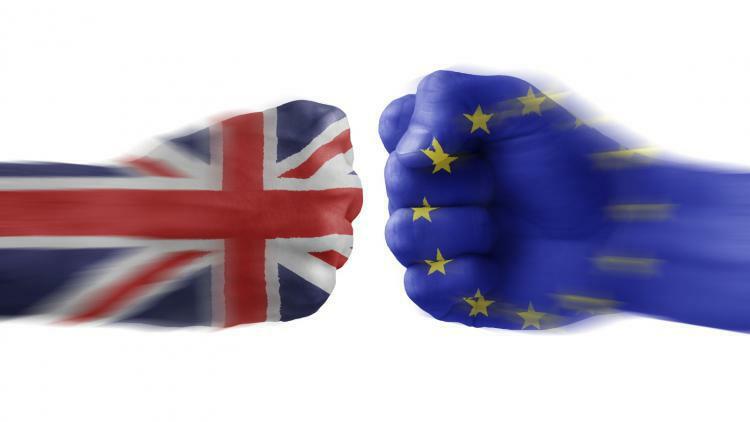 Pupils will be able to explain their personal feelings and justify their viewpoints in relation to the issues following the EU Referendum and the prospect of the UK leaving the EU. Pupils will be able to explain why individual and groups might have different opinions, demonstrating an understanding of other perspectives. Pupils will know that in the UK parliamentary system, any changes and decisions will be discussed in parliament before they come into effect as laws. Explain the purpose of the lesson/s and remind pupils of the need to be respectful of different viewpoints and understandings about the EU referendum and what happens next. Activity 1 – How do we feel about ‘Brexit’? Ask pupils to reflect for a moment individually on what they know and have heard about the consequences of the EU referendum for the UK and to write down one or two words that describe how they feel and share this with their neighbour. You can suggest some words to help pupils help pupils get started eg confused, happy, worried. Ask pupils to explain why they feel this way. As a class collect and record some of the words and explanations pupils give. Show the first section of the TES/Speakers for Schools video from [13:00 to 14:36] where panel members reflect on what they feel about the result of the referendum and respond to a question about the impact of the decision for young people. Draw out similarities and differences with the class comments. Activity 2 – What do we know? What don't we know? Ask pupils to share their responses in small groups. Looking across the responses created (which could be posted up on the classroom wall) draw out some of the common areas where there is knowledge and invite pupils to share this with the class. Then do the same where there are questions or concerns. Ensure there is time for pupils to share what they know and to respond to others’ questions and to correct any misunderstandings. Some of the ‘knowns’ and ‘unknowns’ are listed in the teacher notes below. Use one or two areas as a focus for the next activity. Choosing one of the issues raised through the previous activity, ask pupils to think about what their opinion currently is about the topic. Ask a pupil to volunteer their comments about the issue selected. Eg ‘I think people from EU countries who are working in the UK should be allowed to stay permanently’ and ask that pupil to stand in the middle of a space in the classroom. Ask the rest of the class to move to a position close to or far away from the person to show whether they agree or disagree with the statement. Ask if any pupil would like to ‘add to’, ‘challenge’ or ‘change’ the statement and why. After each additional person has spoken, ask pupils to stick or move to a new position and invite pupils to explain their decision. Once a range of opinions have been discussed, the class can reflect on the differences between each opinion, and the reasons for those differences. Show a clip from the TES/Speaker for Schools panel discussion that relates to the issue chosen for this activity to see what the panel felt. Repeat the process for another of the issues raised in activity 2 or one from your own list if there is something you feel it is important for pupils to have the opportunity to express views on. Draw the activity to a close by recapping that there are things we know and things that we don't know about the implications of the UK leaving the EU. You may like to share the table in the teacher notes below. Emphasise that parliament will be discussing the issues before decisions are taken that could affect individuals and groups and that it is likely to take several years before any changes actually take place. Find practical guidance on teaching controversial issues in citizenship including how to ‘heat up and ‘cool down’ discussions and debate here. The following facts will need to be added to and updated and more information on the issues emerges. What do we know following the EU referendum? Leaving the European Union does not mean we are no longer part of Europe. Theresa May has replaced David Cameron as prime minister. Now the new Prime Minister is in place, the process of leaving should take at least 2 years. This means no European citizens have to leave the UK because of the result. The economy (the money we have in the country) has already been affected. The value of the pound has dropped which will make it more expensive to buy things from countries that use the Euro. What we do not know…? Exactly how long the process of Brexit will take. What will happen with the economy in the long term. What will happen in the long term with immigration, EU laws and many other factors linked to the membership of the European Union. Whether the Scottish people will call for another referendum on their own independence (Scotland voted to remain) and what will happen to the UK after that.